Prepare for the upcoming week with an exhilarating Free Yoga session sponsored by Athleta at Bay Street. 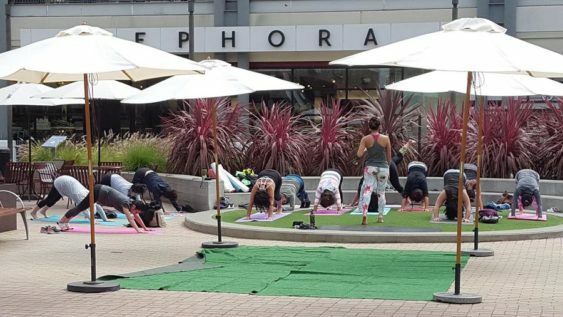 Yoga will take place every Sunday morning from June through the end of August. Relax, center yourself and get energized all at once with the guidance of a professional instructor. All fitness levels are encouraged to attend. Don’t forget to bring your own mat, towel and water bottle.